Oxford University Press, USA, 9780199536559, 284pp. You don't know about me, without you have read a book by the name of "The Adventures of Tom Sawyer," but that ain't no matter. So begins, in characteristic fashion, one of the greatest American novels. Narrated by a poor, illiterate white boy living in America's deep South before the Civil War, Adventures of Huckleberry Finn is the story of Huck's escape from his brutal father and the relationship that grows between him and Jim, the slave who is fleeing from an even more brutal oppression. As they journey down the Mississippi their adventures address some of the most profound human conundrums: the prejudices of class, age, and colour are pitted against the qualities of hope, courage, and moral character. 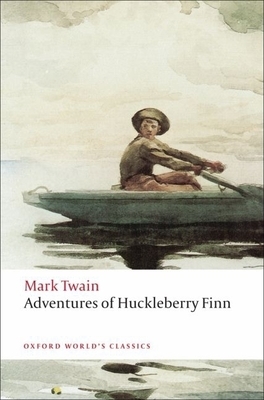 Enormously influential in the development of American literature, Huckleberry Finn remains a controversial novel at the centre of impassioned critical debate. This edition discusses all the current issues and the evolution of Mark Twain's penetrating genius.